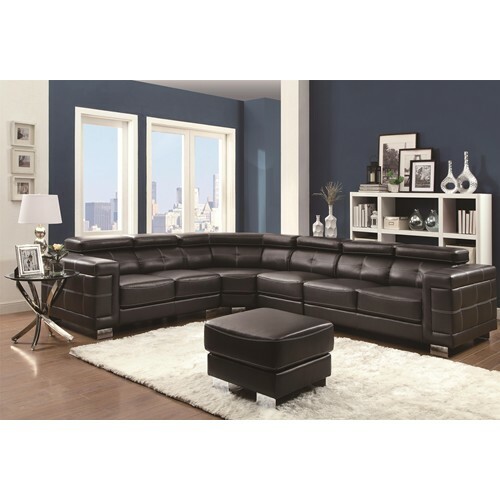 Update the look of your home with a contemporary sectional. This modern piece is crafted with a style that is fresh and urban. 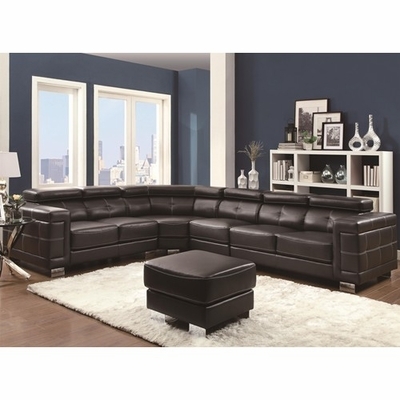 It is wrapped in a bonded leather match upholstery with a dramatic black color scheme. 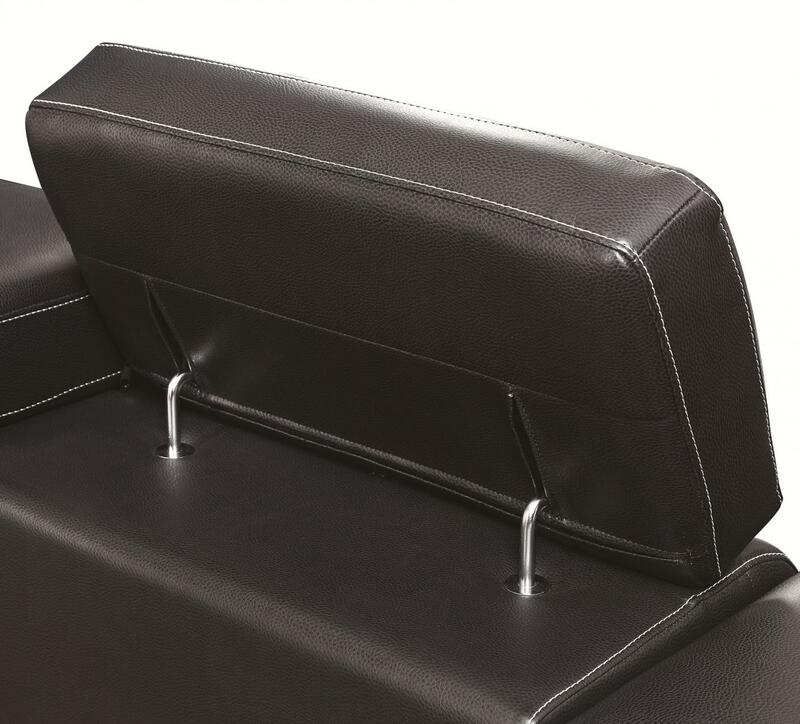 The headrests offer further accommodation as they can be clicked up or down to suit your needs. Tufted accents throughout the piece blend with seam stitched details, creating a dramatic accent that is also casual. Use this piece against a wall or in a large room to create a separation of space. Armless Chair shown is not included. Must purchase separately.